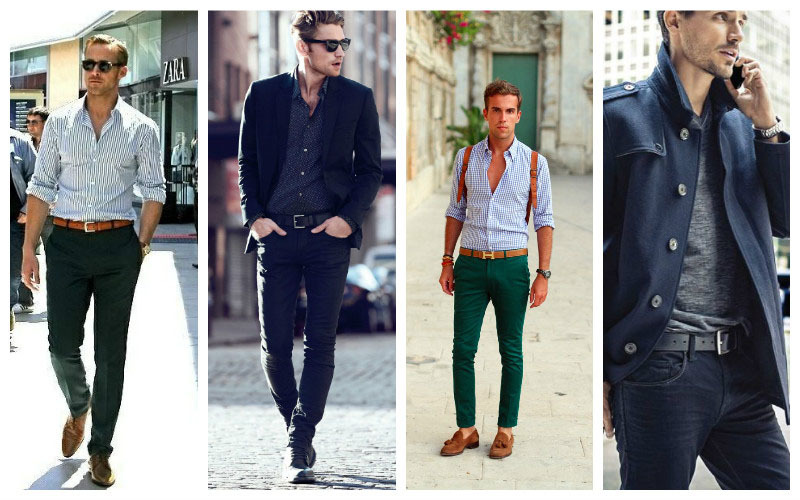 For fashionable gents, the humble belt is so much more than just a tool to hold up pants. It’s also a stylish accessory that can accent and complete outfits for a smart look. As such, selecting the right belt to wear takes more than just pulling out the first one in your wardrobe. From coordinating colours to choosing the texture, picking which belt to don requires some thought. Luckily, we’re here to make the process a whole lot easier. Below, our men’s belt guide will show you exactly how to choose and wear the perfect belt for every occasion. First things first, you are going to need to appreciate that knowing your belt size is integral. As obvious as it sounds, you should ensure you go for belts that are not overly long and certainly not too short. After you try on a belt, you should have a few inches left to push through your remaining loop, keeping things aligned and cinched appropriately. Utilise a belt size guide to inform which belt size will fit you most appropriately. Keep in mind that brands tend to use inches or general sizes for their belt lengths, so ensure your pant size corresponds to your belt size. Sure, leather is usually go-to, which keeps things sleek and refined particularly for formal occasions. But an appreciation and ability to pull off belts in a variety of textures and materials will add dimension to looks, particularly for casual attire. Keep an open mind with woven belts, suede belts and other textured/embossed belts which come in a variety of other hues to brighten looks in the simplest of ways. 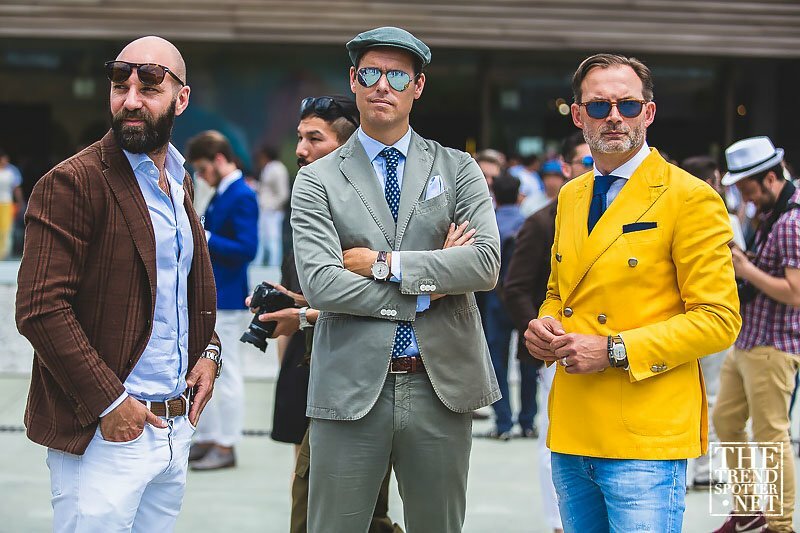 Keep things classic with versatile colours like blacks, browns, tans, nudes and whites for timeless pieces that can be worn countlessly and do not be afraid of brighter statement pieces for each respective season. 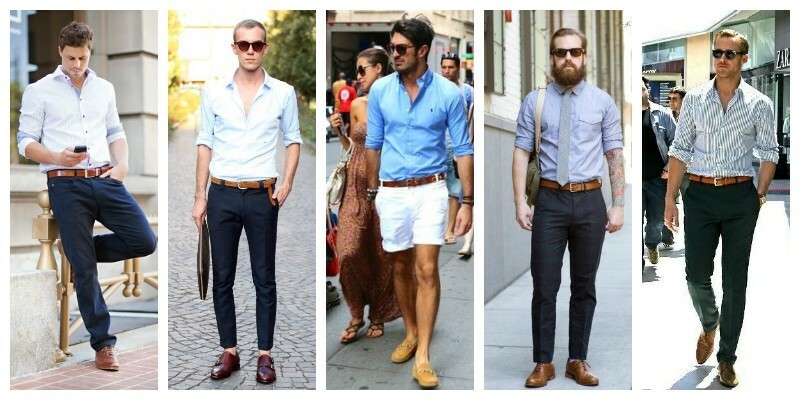 A brown or tan belt will afford versatility when perfecting casual looks. Perfect for all seasons, an embossed brown belt is a worthy accompaniment to navies and other blues, affording a warmer feel to looks. Keep things simple with woven brown and suede tan belts for added texture when harnessing this humble accessory and opt for accompanying pieces in complementary colours and tones for a well-grounded look. For formal looks, the general rule of thumb is to keep things minimalistic, simple and sleek with clean lines and unfussy textures. 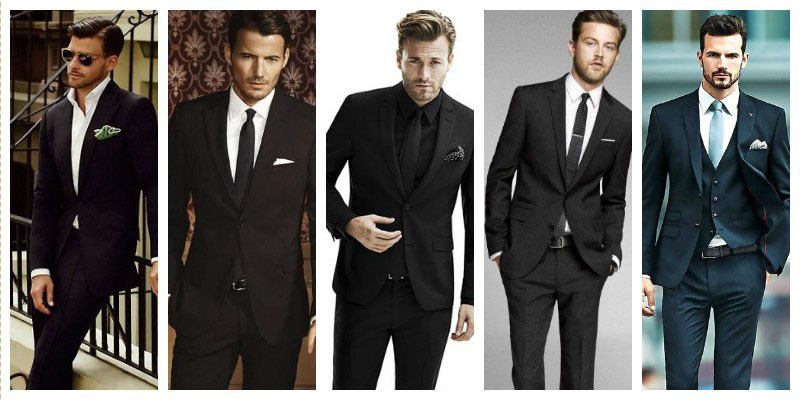 Black is obviously the most appealing, given its complementation with a classic black suit and other more basic tones. Opt for sleek black leathers with simple, slightly rounded buckles for a clean, classic way to cinch your look. Remember, more formal aesthetics pine for simple additions, so keep your belt relatively low-key, but still on trend. Brighter belts in iridescent colours will be helpful for brightening up casual looks simply. The important tip for statement belts? Keep other elements of your look relatively diluted and simplistic, which will allow a focal point for your belt to create a statement. Brighter tones of classic colours will work tremendously but also be conscious of more modern toned belts which will add an unexpected touch. A belt can divide your body giving the appearance of a flattering shape. 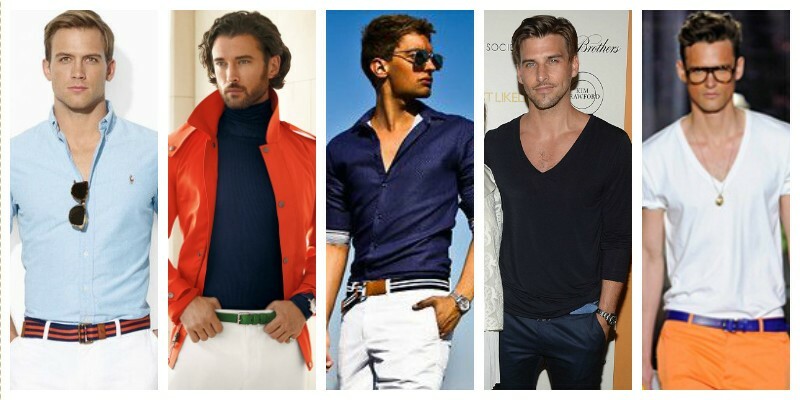 When going for more proportion, go for a contrasting shade to your clothing for well-balanced looks. Alternatively, for those wishing to appear taller or more elongated, opt for a belt which is the same colour to the other tones of your look and can be concealed seamlessly. This will give the illusion of a heightened proportion, working to make you look taller and more trim. 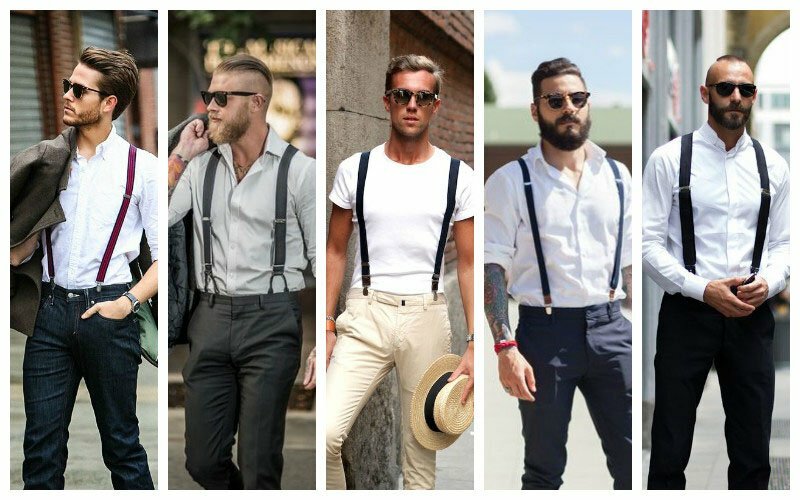 Otherwise known as suspenders, braces can be a creative alternative to belts. For a vintage aesthetic alluding twenties references, keep an open mind when electing to accessorise with suspenders that can come in a range of textures and colours. Opt for contrasting braces to your shirt for a more dimensional look and ensure your shoes go with your overall palette.